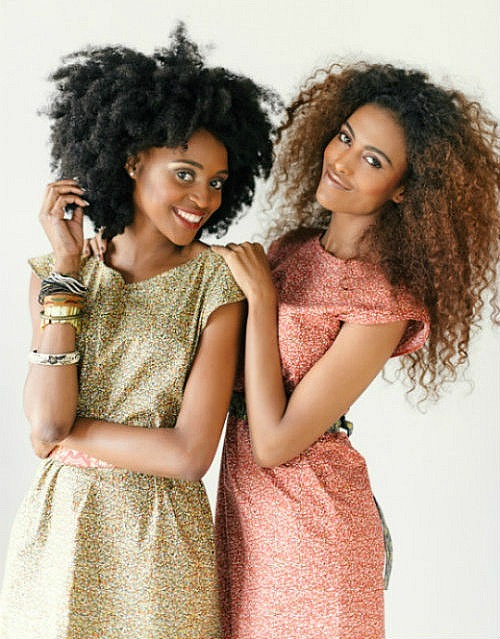 Natural hair demands a balance of moisture and protein. Our hair is made up of tough fibrous proteins called keratin. In today’s post I wanted to cover how different proteins in hair products can help maintain healthy hair. All proteins are strengthening proteins. Each protein can have it’s own characteristics. 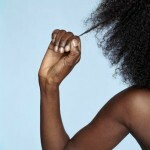 Here is a test I found as well on Ehow.com to help you figure out whether or not your hair is lacking in protein. Wet your hair; they recommend doing it after you have shampooed. Grab about an inch of your hair between your fingers. Based on how your hair reacts to stretching, determines whether your hair needs moisture or protein. You hair needs moisture if it doesn’t stretch at all and then breaks, or if it feels extremely rough and brittle. You hair needs protein if it stretches a long way and then breaks (or doesn’t break at all), or if it is limp and feels gummy. If your hair stretches just a little, then returns to its normal length without breaking, the amount of protein and moisture in your hair is well balanced. It means that a chemical compound is split into smaller units. So if you see the word “hydrolyzed” in front of any of the protein names, it just means that protein has been broken down into smaller units. 1. 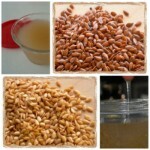 Hydrolyzed Wheat Protein: Water soluble protein derived from wheat, it penetrates the cortex of each strand. It strengthens and moisturizes hair, increases it’s ability to receive and maintain moisture. 2. Hydrolyzed Silk Protein: Derived from one of the strongest natural fibers in the world. Forms a cystalline protective barrier on strands. Improves hair’s elasticity, resiliency, increases shine (silk is known for it’s ability to hold 10,000 times it’s weight in water.). 3. GlycoProtein: Derived from oyster shells, contains sugar and amino acids that help strengthen and smooth hair. 4. 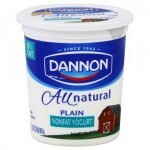 Milk Protein (Lactabumin): Derived from milk, high in lactic acid containing 8 essential amino acids. Has been labeled the most perfect protein. 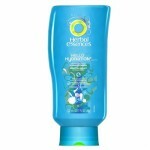 Great for dry or damaged hair. 5. Hydrolyzed Soy Protein: Water soluble protein derived from soy. Strengthens and mends hair fiber. Increases the ability for hair to hold moisture. Adds shine and smoothes hair. 6. Collagen Protein: Increases elasticity in hair. 7. Vegetable Protein: Hydrates hair. Great for porous or damaged hair and split ends. Absorbs more easily into hair shaft than animal protein. Leaves no build up. 8. Animal Protein: Breaks down into fatty acids and coats the hair. Leaves build up on the hair. 9. Keratin Protein: Every ones hair is made up of keratin protein. This is the strongest of the hair product proteins. When used in product form, it strengthens the hair shaft preventing breakage. Smoothes the hairs cuticle reducing frizz and making it softer and shinier. Hey @db9597414f541365613254370796bb7e:disqus , honestly, some scissors to cut them off. There is no product to get rid of split ends. You can smooth them but they will still be there. However you can prevent split ends by using oils/butters such as castor oil or shea butter. You can also use protective hair styles that hide the ends of your hair. @facebook-659982185:disqus , it sounds like you don’t need protein. Everyone’s hair varies, some people have hair that retains more protein and this might be why products with protein in it are drying and not working. Then some folks who lose more protein over time do well with products that contain protein. So it seems that your strands are losing much protein, which means you don’t need it. Just focus on getting the right amount moisture instead :). Ooops…TYPO on the word “are” I meant to say, So it seems that your strands “aren’t ” losing much protein @facebook-659982185:disqus :). Very informative as always Nikisha. Thank you! hey nikisha i have a random question for you…i currently have been transitioning for the past 3 months now and i’m wondering how often I should be trimming my hair. i plan to big chop in late may to early june. Hi @8c8a17e431e7a847fe2f75bd4acafd92:disqus , since your transitioning without having done the big chop yet, it’s really up to you how much you want to cut off. Because if your going to eventually big chop it, it doesn’t matter, unless….you find that your relaxed ends are causing breakage then I suggest big chopping sooner. I hope this helps :). so do you think i should be sealing my ends and stuff because, i know i have split ends with the shedding that comes with transitioning. Sorry about all of the questions i just want to make sure my new growth is protected. Don’t be sorry @8c8a17e431e7a847fe2f75bd4acafd92:disqus , I am here to help you so ask away! You should ALWAYS, always…seal your ends! thank you nikisha!! also, i found your article on bullying very touching and i’m glad your in such a positive space now. Yes @3be3300b0a2cc91795f97128d965bc1c:disqus , too much protein will cause your hair to be dry, brittle, and break off. Too much protein and or too much moisture can be horrible for your hair. Thank you, and your welcome @cb26b7d916faac96000bfa91a51df94e:disqus :). This is really great info because even though I read all about these proteins in products I didn’t know that they all had such diverse functions. It makes complete sense, but of course I’d never thought of it. Thanks! Megatek is a VERY EFFECTIVE anti-breakage protein conditioner. I deep condition with it once per month or as needed. Stops breakage dead in its tracks.